We're seeing more infrared cameras lately, but this one has a different marketing angle for these perverted porncams: it's pitched to photo hunters. 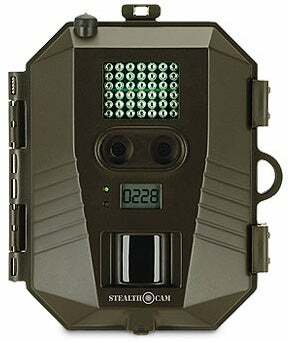 You position the Stealth Cam Prowler digital video infrared scouting camera where those animals you'd like see usually hang around, and then you can capture video or 2-megapixel stills of them in the dark or 5-megapixel color shots in daylight, triggered by its motion sensor. It has 42 infrared emitters that surreptitiously light up moving critters within 50 feet, and its pictures or video are stamped with the time and date, as well as the moon phase and temperature. You can have its burst mode shoot one to nine pictures at a time, or set it to capture 5 to 90 seconds of video. This looks like it would be great for catching animals—human or otherwise—in the act. No pricing or availability was announced yet.